Links in this post are affiliate links. If you shop using my links, I do earn a small commission. Thanks in advance if you decide to use my links! 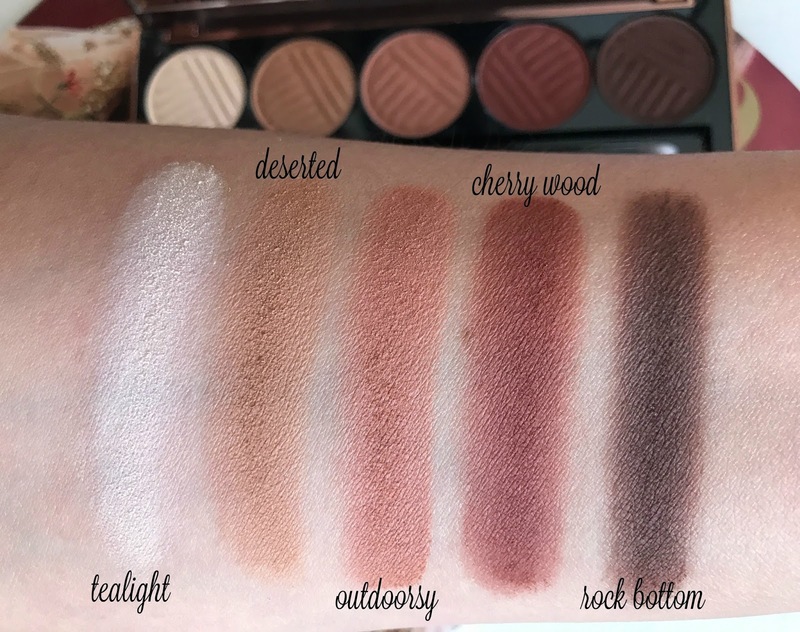 The two Dose of Colors Palettes, Baked Browns and Marvelous Mauves, have been on my wishlist since they first launched. I tried picking them up when they first arrived at Ulta but of course they were sold out for quite some time, so it was one of those hurry up and wait moments. But a few weeks ago when Ulta send out a 20% off coupon, both palettes were back in stock and I decided to pick up Baked Browns just to test the water. Well, let me tell you that I now wish I had picked up both palettes with the 20% off discount. This palette has become an instant favorite in my collection and I now know that I will need the mauve palette, along with the two new palettes which are launching later this fall. Yes, this palette is everything AND a bag of chips! 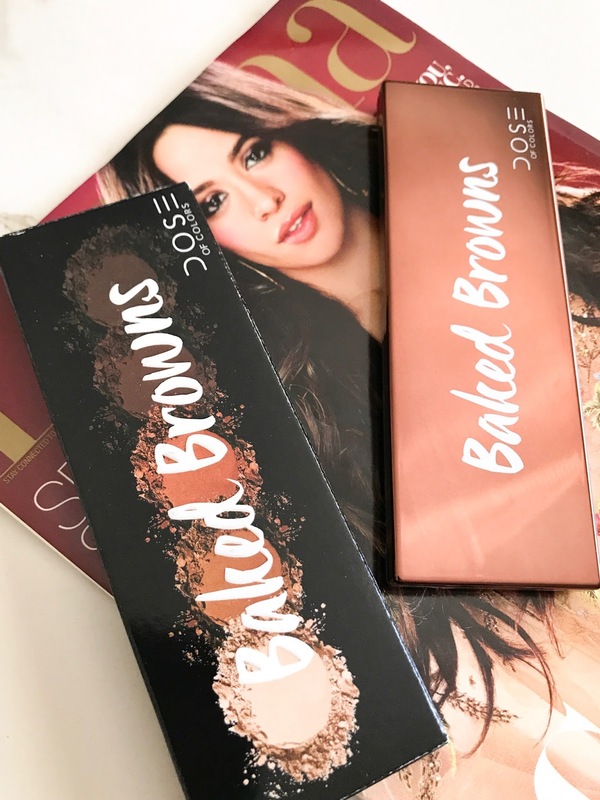 The Dose of Colors Baked Browns Palette comes in a sleek bronze metallic toned palette that is perfect in size for those of us that have limited space for storage. The thin and really compact packaging makes this palette really easy to travel with or just carry in your bag, though I personally don't carry eyeshadow palettes with me. But if you do carry your makeup with you throughout the day, this palette easily fits into your makeup bag. I do love a good brown shadow and the ones in this palette totally speak to me. I love how even though you only have 5 shadows, you basically have everything you need. You start off with a beige shade and move through the shades to create really sultry, beautiful looks. The palette includes a double sided brush which seemed pointy and hard at first, but once I actually used the palette I found it pretty handy. The smaller, pointier side is perfect for doing the lower lash line and the larger (but still small) end is great for really detailed work. This palette retails for $32 at Ulta which I think is a great price considering how amazing the quality is. Of course I got 20% off which means I got an absolute steal. As you can see all five shades in Baked Browns are very pigmented, the formula is also super buttery and soft! From the minute that I first touched these shadows, it was LOVE. I am also happy to note that Cherry Wood is the most pigmented along with Rock Bottom which means that the color you see in the pan is pretty much what you get on the eyes. In the top swatch photo you can see that because the shadows are so buttery soft, there was quite a bit of powder laying on top, but all it took was a tiny blow and all the extra powder blew right off. I would suggest tapping off your brush just in case, but when I have used these shadows I have gotten super minimal fall-out. I don't have any cons to the Dose of Colors Baked Browns Eyeshadow Palette - none. Everything from the packaging, shade range, the formula, even the price, is spot on. I have created the most beautiful reddy brown eye looks, and I am not one who can usually wear a lot of red on my eyes because with my dark hair I tend to look like Dracula. But this shadow formula is so soft and blends like a dream, that it's been such a pleasure to use this palette. Do you need the Dose of Colors Baked Browns Eyeshadow Palette?